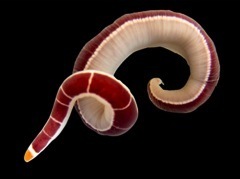 Research in Maslakova lab at the Oregon Institute of Marine Biology focuses on the evolution of embryonic and larval development in the understudied phylum of marine ribbon worms (Nemertea). We are particularly interested in how the unique pilidium larva (left) and its catastrophic metamorphosis evolved from the more direct developmental trajectory of basal nemerteans. 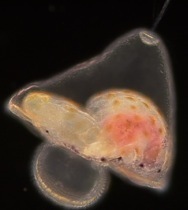 To understand the evolution of larval development we combine classical embryological approach with cell lineage tracing and large scale analysis of gene expression using advanced sequencing technologies.